Sensors fall into several categories. In the broadest definition, a sensor is a device whose primary purpose is to detect events, or changes in its environment, and send the information to other electronics. 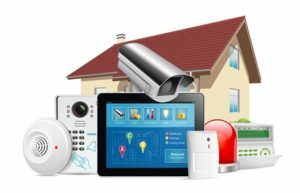 In the electrical industry we have sensors controlling alarm systems, CCTV systems, lighting circuits, door entry, gate automation etc. This list goes on. Not all sensors are the same. It’s all about their features. When comparing products make sure it is apples for apples. We are now living in a dumbed down world. Everyone’s perception comes from the Ali Express era where they think a sensor is a sensor. Because option A is half the price of option B then option B is a rip off. Yet option B has been around for decades and has proved reliable to the stable of products in your business in the past. Contractors are too busy trying to do jobs for less money rather than concentrating on providing reliable products and good service to the consumer. And when option A goes wrong it is back to the supplier with their grumbles. Oh, I wish I had stuck with option B! We have sensors with 1800 and 3600 detection angles. There are outdoor options with an IP55 rating. Some have a high switching capability. Some come with auto sensor/manual and holiday modes. Do you need to switch AC or DC loads? Also using the correct sensor can be a useful addition to your security system around your home or commercial premises. Here are some options and their usages. There is the 1800 PIR sensor with scanning red LED’s and a PIR motion detector. During the day when it is not acting as a lighting sensor, the red LED’s are scrolling and flashing. Now what is your visitor going to think? It has been proven that a red light does produce an alert to the brain. What is the person’s first thought going to be? Is this device a camera that has detected me? And at night this sensor has a dual purpose. The red LED’s are scrolling as your visitor comes up the path and when the PIR senses motion, it will turn the outside lights on it is connected to. A double deterrent! What about the twin LED sensor lights. You can also get a version of these with the scanning red LED’s. Strategically place a couple of these units around your house so if someone comes onto your property at night, the PIR sensor will pick them up and they will turn on. That additional light is great for cameras at night. By bringing the lights on, the camera will sense “daylight” and switch into colour mode which is like viewing and recording in normal daylight conditions. 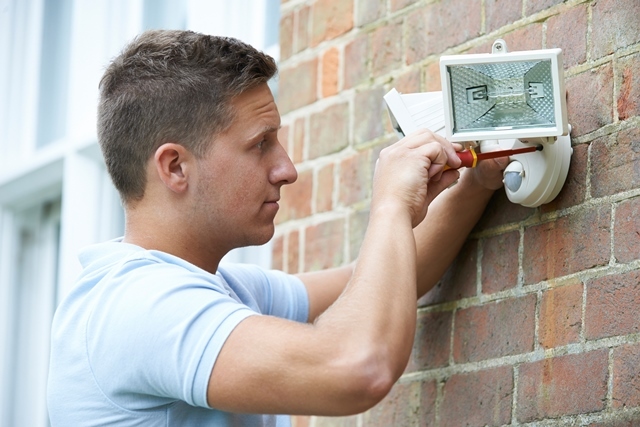 If you are going to recommend a CCTV system to a customer, then a good sensor light must be part of the package. Sensors can control the lighting in areas like hallways, ensuites, and cupboards. Never worry about anyone leaving a light on, because the sensor will control this. Why not use a sensor to bring on the driveway lights at night time when you come home from work? Please remember that the job of the electrical contractor to supply the best possible products, and service to the consumer. The products that will do the job they were intended for, and without failure. You don’t make money by going back to fix the issue you created!